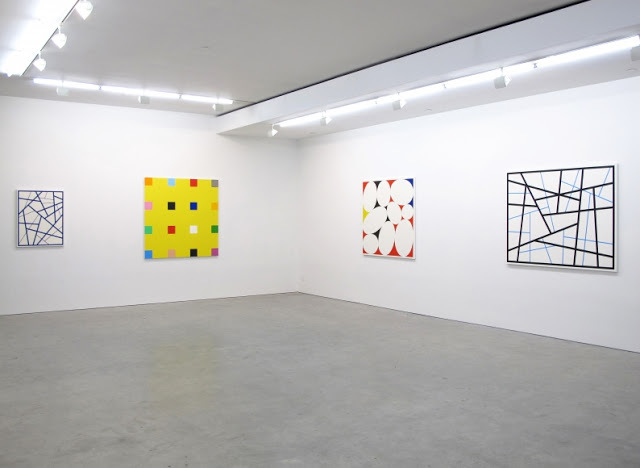 Contributed by Jonathan Stevenson / For all the fine work to be found in New York galleries, even in Chelsea it’s rare to encounter three distinct and extraordinarily fine painting exhibitions within a half-block span on a single side of a street. 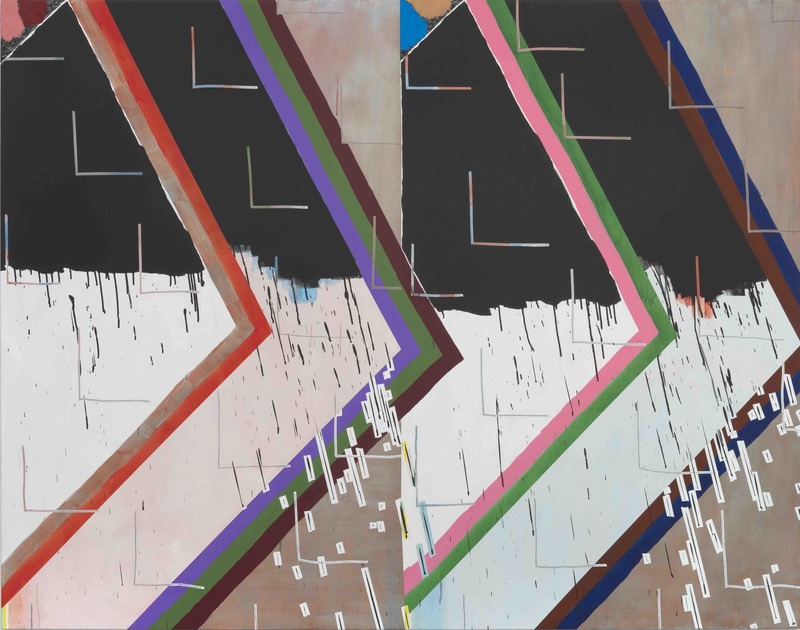 But three such shows now grace the south side of West 24th Street between Tenth and Eleventh Avenues: Allison Miller at Susan Inglett, Odili Donald Odita at Jack Shainman, and Cary Smith at Fredericks & Freiser. 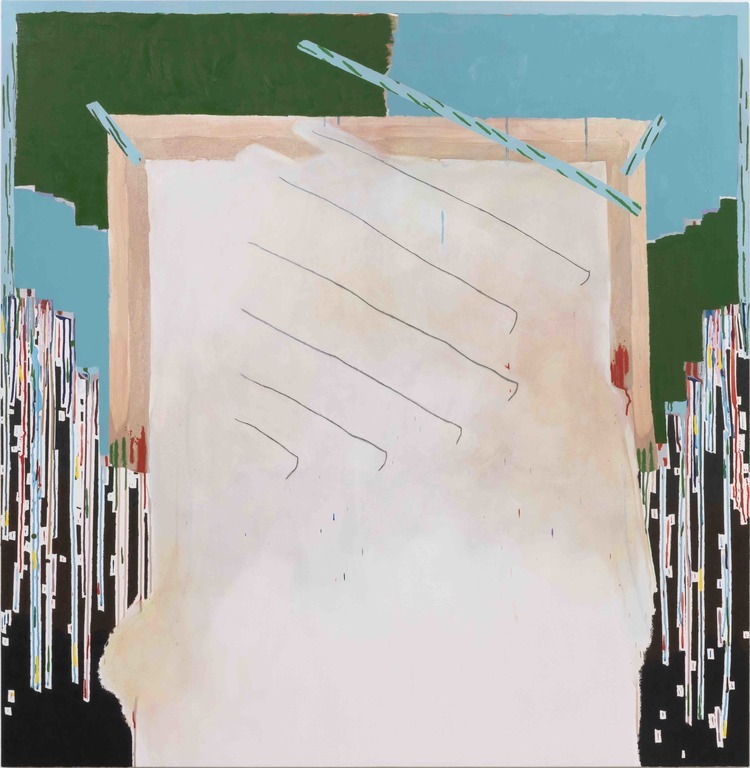 Allison Miller, Sound, 2015, oil stick, acrylic and pencil on canvas, 64 x 82 inches. Thus, in Miller’s slyly awkward Sound, sloppy arrows linearly arrayed in vivid colors slash and burn through a vaguely digitalized black-and-white picture plane. This, sardonically, is noise as the harsh, ragged decay of silence. In a broadly similar vein, Miller in Snare illuminates the predatory and potentially dangerous nature of the persistent or iterative aspects of life and art (echoing, with greater subtlety, the motif of her wryly gothic 2013 painting Repeater). In the Burri-esque Front, she seems to note the hidden flaws that gnaw at outward beauty. And through Vault she riffs on the need to escape these and other worldly banes by finding a psychic bolthole (see also Flush Arch and Scratch Arch). Allison Miller, Snare, 2015, oil stick, acrylic, modeling paste and pencil on canvas, 73 x 68 inches. 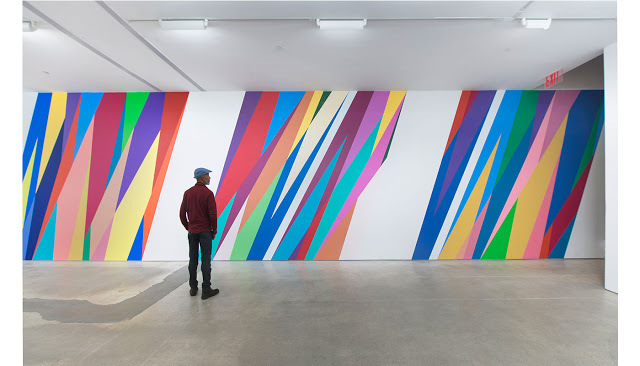 Odili Donald Odita, The Velocity of Change, 2015, acrylic latex wall paint, dimensions variable.Installation view at Jack Shainman. If Miller’s work is fearlessly abrasive, Odili Donald Odita’s paintings – on view in “The Velocity of Change” at Jack Shainman Gallery – are deceptively accommodating. The shapes in his acrylic hard-edge geometric abstractions are neat, their colors beautiful and harmonious, their juxtapositions perfectly contiguous. But he too is interested in outpacing strictures even while acknowledging them, though the ones he has in mind are cultural and political as well as aesthetic. 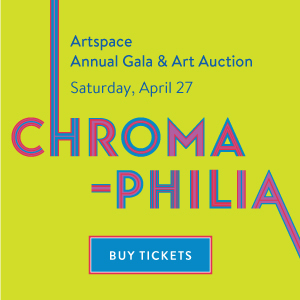 Born in Nigeria and based in Philadelphia, Odita sees color itself in opposition to the convention of whiteness. At the same time, he seeks to “escape … definitions that limit and paralyze” rather than directly challenging them. 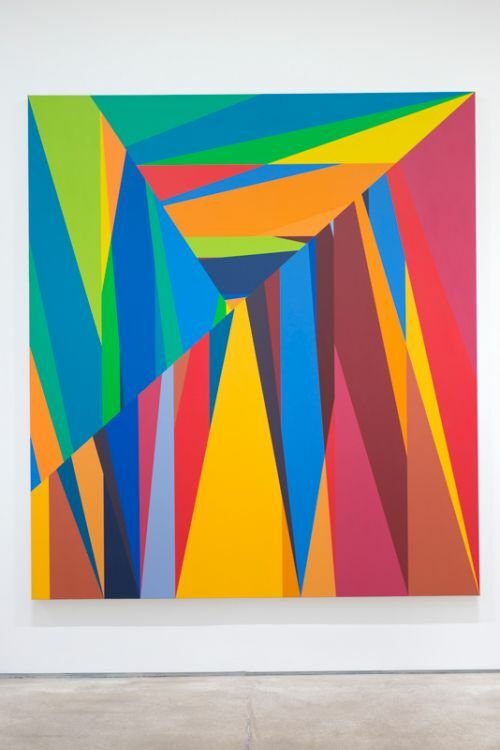 Odili Donald Odita, The Door to Revolution, 2015, acrylic on canvas, 90 x 80 inches. He succeeds. In the signature floor-to-ceiling wall painting The Velocity of Change, shards of color impinge on arteries of white obliquely, more like hypodermics than daggers. Slightly skewed towards the troubled present, this theme of insinuation (or integration) vice confrontation is muted in works that may reference a starting point (consider Chasm, Distant Relative, and Fissure); more evident but still aspirational in paintings that conjure the inevitably fraught process of advance (The Door to Revolution and Other World); and most pronounced in those that suggest the desired end state (First Light and Highway). 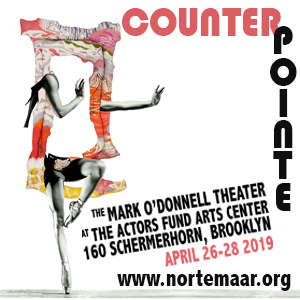 The result is a show of powerful – and resolutely abstract – vision and cohesion. 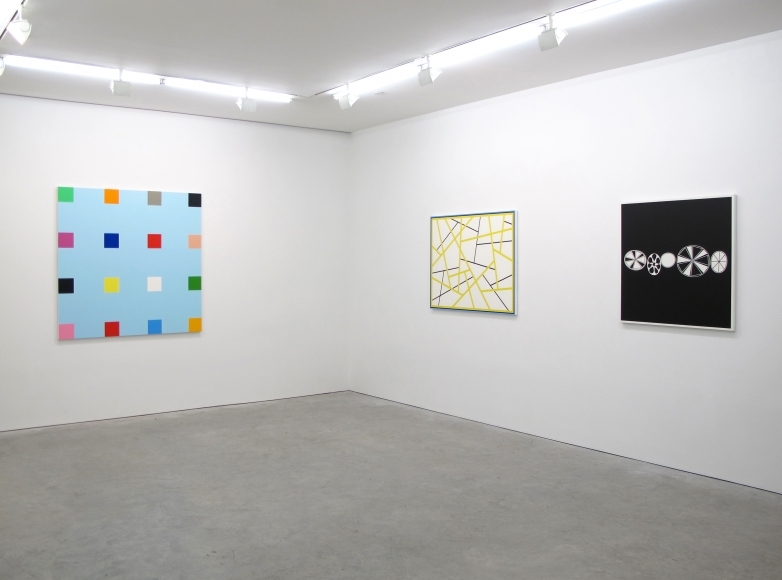 Cary Smith, installation view at Fredericks & Freiser. With his impeccably poised hard-edge abstractions, on display at Fredericks & Freiser, Cary Smith does not snipe at the existing borders of Modern painting or endeavor to elevate its political nuance. 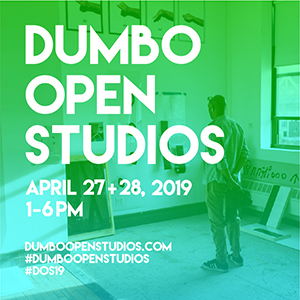 Rather, he locates a fitting equilibrium between analytic and emotional content within those borders through deftly disciplined improvisation, which involves a highly purposeful and invariably well-judged deployment of color and line. Some of his archly titled paintings – most sharply, the vividly hued and calculatedly distorted Pointed Splat and the immaculately fractured Straight Lines canvases – suggest the ultimate futility of the human compulsion to impose logic and calm. In the Grey Blocks, the Ovals, and especially the Wonder Wheel paintings, emotion seems to seek the moderation of order, subtly reversing the emphasis. 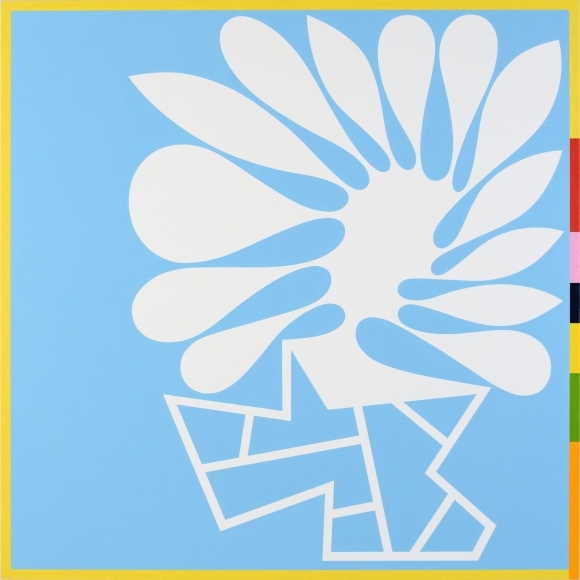 Cary Smith, Pointed Splat #4 (pale blue-yellow with color blocks), 2015, oil on linen, 55 x 55 inches. Aldrich Museum Exhibition Director Richard Klein, quoted in the press release, identified in Smith’s work a tense reciprocity between the “warm” Dionysian and the “cold” Apollonian. In this he seems akin to Robert Indiana, another hard-edge painter with a big heart, though Smith eschews overt social or historical referents. Smith appears to verify Klein’s interpretation in the show’s two most variegated canvases – Must Be (red) and Seldom Have We Understood So Little (black) – which respectively drive home the blitheness of certainty and the dourness of doubt. Smith’s, Miller’s, and Odita’s exhibitions showcase painters in firm control of myriad influences and considerations, at the height of their efficacy. 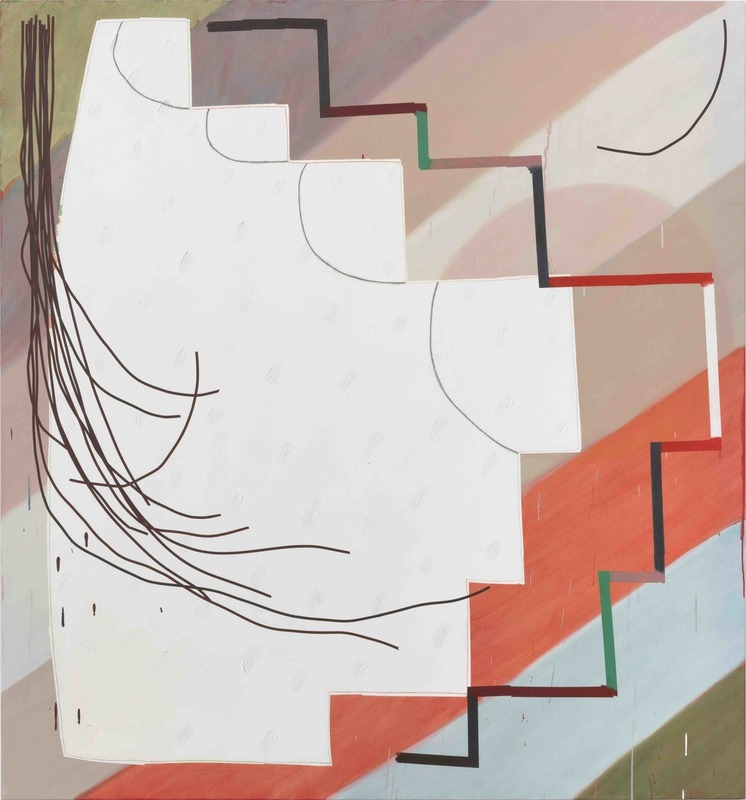 “Allison Miller: Speeds,” Susan Inglett, Chelsea, New York, NY. Through January 30, 2016. “Odili Donald Odita; The Velocity of Change” Jack Shainman Gallery, Chelsea, New York, NY. Through January 30, 2016. “Cary Smith,” Fredericks and Freiser, Chelsea, New York, NY. Through January 9, 2016.